CQ is proud to announce the winners of this year’s ‘Joan Eakin Award for Methodological Excellence in a Qualitative Doctoral Dissertation’: Ramya Kumar, of the Dalla Lana School of Public Health, and Rona MacDonald of the Rehabilitation Sciences Institute at the University of Toronto. Congratulations to both winners! This dissertation, which complicates hegemonic narratives of privatization, is theoretically rich and deeply reflexive. Using a Marxist third world feminist perspective, Ramya Kumar examines the ways in which women negotiate healthcare under privatization in Kandy, Sri Lanka. Writing in a compelling manner that takes the reader inside the place of her research, Kumar both shows the challenges and potentials of an insider/outsider status, and through her close attention to the nuances of participation and transcription, for example, actively decolonizes the research process itself. This dissertation should be mandatory reading in all global health courses, as well as for any clinician who is interested in doing qualitative research. In this dissertation Rona Macdonald examines the underexplored area of ‘never married’, older women, living alone as a site of real and potential discrimination. By creatively using theory as an analytic tool to identify interpretive repertoires, subject positions and ideological dilemmas, and reflexively troubling the research process itself, this dissertation shows what good qualitative research can do to expose often unacknowledged oppressive forces in health care encounters. In doing so, this dissertation both pushes at the conventional margins of Occupational Therapy practice and extends the conversation of how we, as a society understand the notion of being single. Cite this page as: CQ. (2019, April 02). 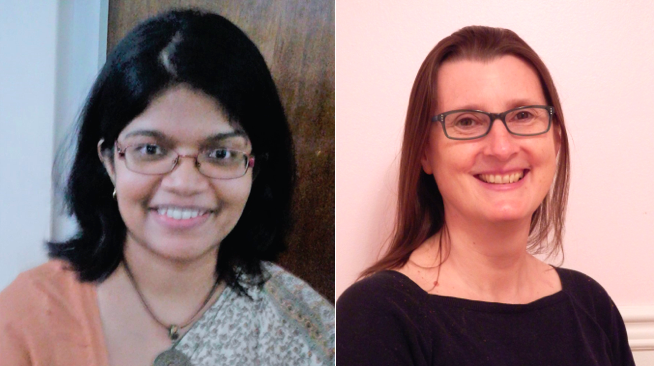 2018-2019 CQ Dissertation Award Winners: Ramya Kumar & Rona MacDonald. Retrieved from: https://ccqhr.utoronto.ca/2019/04/02/2019-cq-dissertation-award-winners-ramya-kumar-rona-macdonald/.